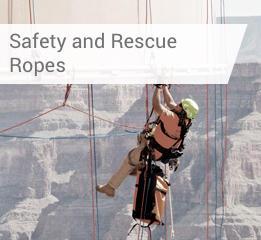 This rope has proven to be an effective asset on large offshore cranes and subsea winches and is able to withstand extremely rough environmental conditions: reliably and safely. EVOLUTION TK18 has, for many years, been used as a hoist rope on ships and offshore platforms on oceans around the globe in order to lift loads into or out of the water. Its main objectives are to provide corrosion resistance for permanent contact with salt water and to guarantee the secure operation of the crane also for extended periods of use.